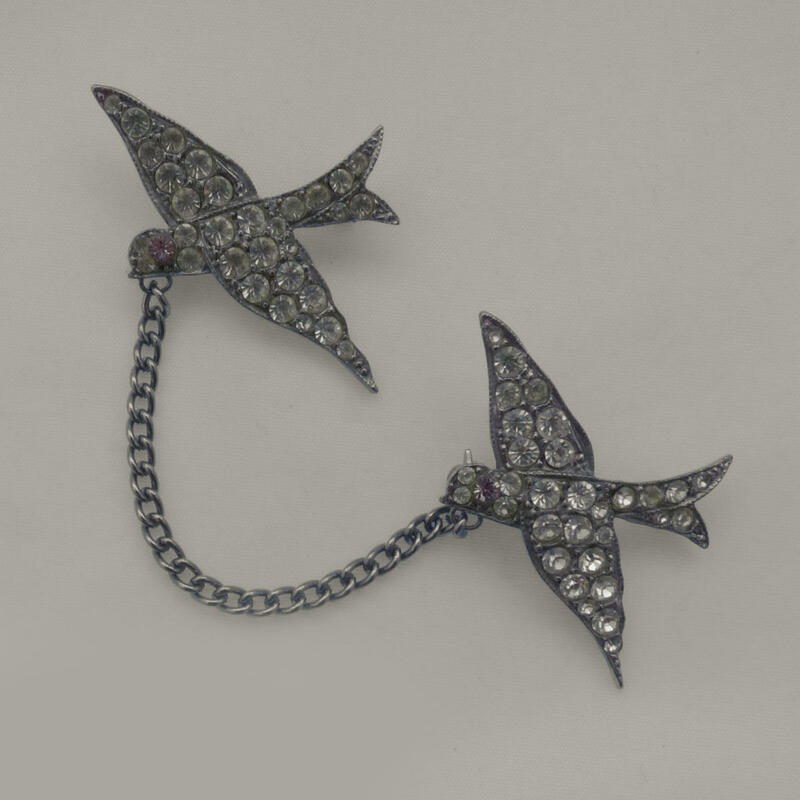 Beautiful Butler and Wilson brooches in the form of a pair of doves in flight. 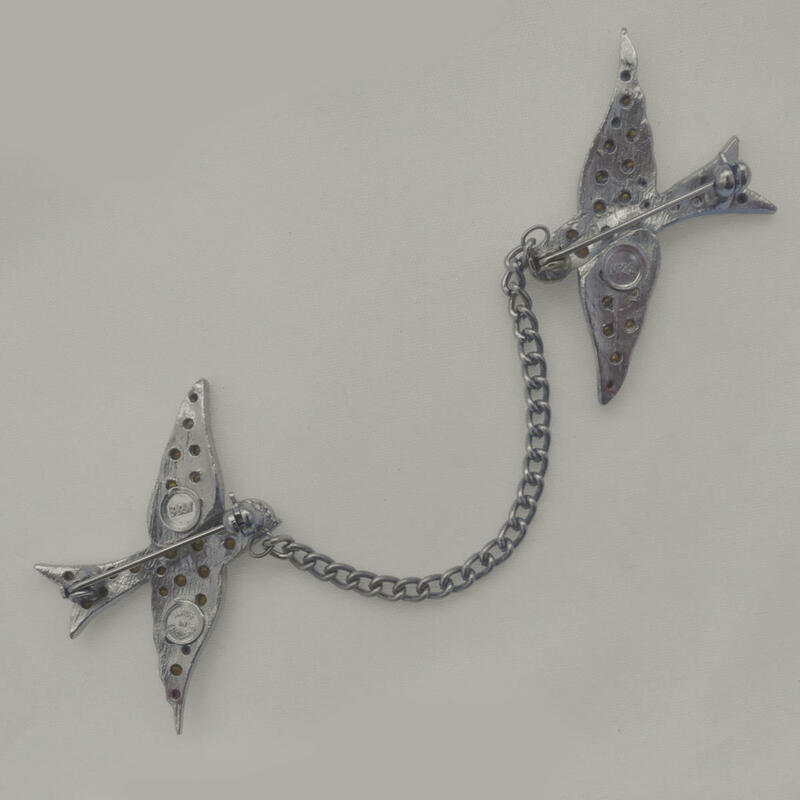 Doves pair for life, and so traditionally symbolize everlasting love, and are a lasting emblem of peace. The bodies are jewelled with pave set crystal rhinestones with rose pink eyes.